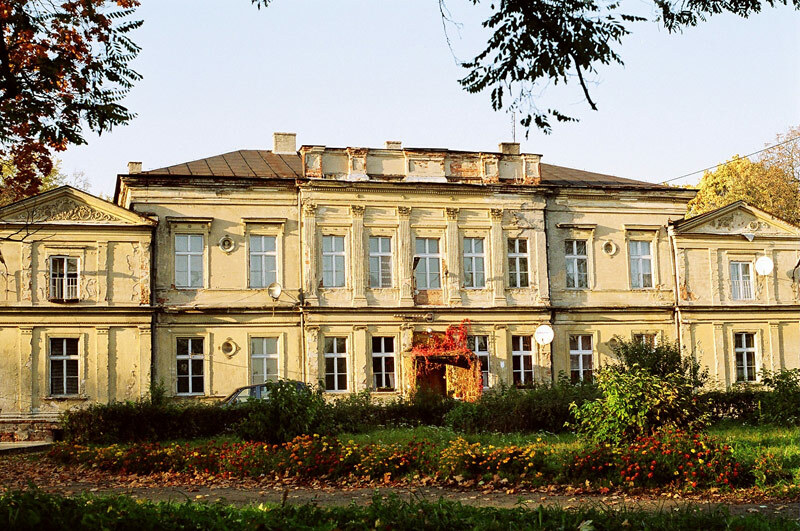 Young Fryderyk used to visit the village of Zbójno, as it was located on the shortest route from Szafarnia to Obory. The complex of ”Drumliny Zbójeńskie“ shaped At the bottom of the decline created as a result of connection of several tunnel valleys within wavy moraine upland. The height of the hills does not exceed the height level of the neighbouring upland ranging from 100 – 112 m above the sea level. There are several forms of the type in the area and their regular contours and parallel ridges determine the beauty of the landscape. The park includes 8 monumental and marked trees, including 4 London planes, a common beech, a red beech, a gingko tree and a horse chestnut tree.